We wrap up this quick two-part series by looking at the Python code we need to implement the theory we discussed last time. Now that you are aware of the basics of Selenium and Browser Drivers, it is time we have a look at a simple WebDriver script in our Selenium WebDriver tutorial. Before we look at the example, please make sure that you have the programming environment ready, i.e. download the IDE of your choice (we are using the Eclipse IDE, with all the required packages/software downloaded from the Eclipse Marketplace). The Selenium Plugin for Eclipse can be downloaded from here. The sample code has been written in the Python language, but you can write the test code in C#, Java, Perl, Ruby, etc. 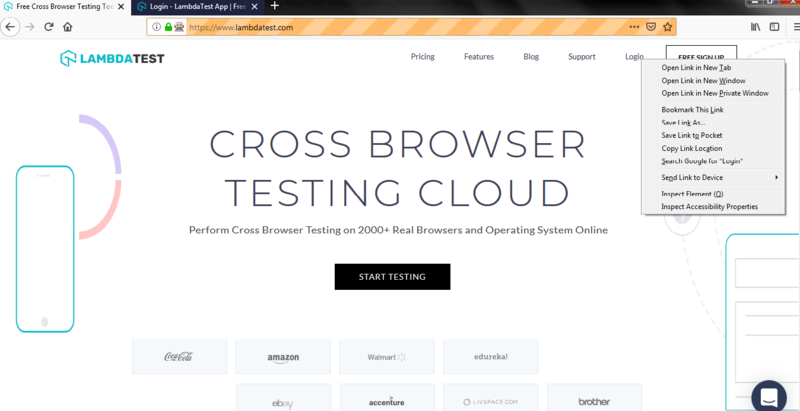 Since the test code will be communicating with the browser (Chrome, Firefox, Internet Explorer, etc. ), please ensure that the corresponding client library/WebDriver is installed on your machine. Please refer the section 'Browser Drivers' above on how you can download the corresponding WebDriver. The error message is displayed when we try to load the WebDriver for Opera (without the WebDriver installed on the machine). In order to get rid of the error, you should install the WebDriver for Opera from here. Once all the operations on the browser are complete, ff_driver.close() is invoked in order to do the necessary clean up and freeing up resources. Lastly, we will have a look at another example where we make use of the ActionChains module which is used to automate low-level interactions like mouse movements, button movements, context menu interactions, etc. to ensure a robust UI design. More details about ActionChains can be found here. As seen in the above example code, we retain the code for creating the Firefox WebDriver instance [Lines 9-16]. There are a couple of new modules that are imported – ActionChains and Keys. Once the desired webpage is opened by the browser, a search operation is performed by looking at the Link Text (using the find_element_by_link_text method). In our example, the Link Text that is searched on the Web Page is ‘Support’ [Lines 20-22].